PALACE INTRUDER (g. by Oratorio). 3 wins. See below. King of the Palace (g. by Danehill Express). 5 wins at 1000m, 1200m, A$90,592, to 2014-15, WATC Vale Andrew Ramsden H., Crown Lager H., 2d WATC Perthracing.com.au H.
Race Record: 11 Starts 3-2-1 A$222,800. 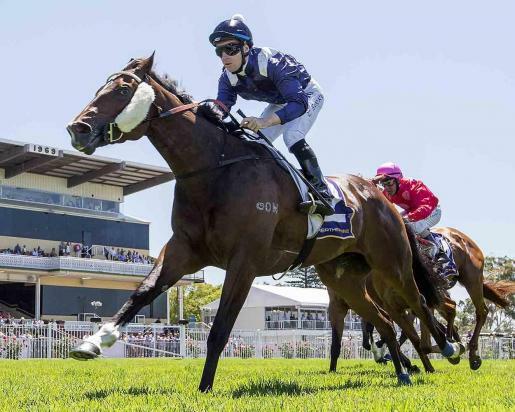 3 wins-2 at 2-at 1000m, 1800m, A$222,800, to 2014-15, WATC Aquanita S., L, Westspeed 2YO P.-twice, 2d WATC Challenge S., L, Westspeed 3YO H., 3d WATC Westspeed H.